Baseball is back; and it's Spring again! Yes, it is. Don’t let the piles of rock-hard snow lining the streets and clogging up your yard fool you. Don’t be deceived by the slushy white stuff that is supposed to fall from the sky today. Today, at the Cincinnati Reds’ training camp in the suburban desert that is Goodyear, Arizona, the Reds pitchers and catchers report for duty. Some have been there for days, anxious for another season of baseball to begin. Some will tell you that you are crazy; that spring officially begins on Thursday, March 20 – the vernal equinox. This is the day spring begins. Those who play the game and the millions who love to watch it work on a different calendar than most mortals. 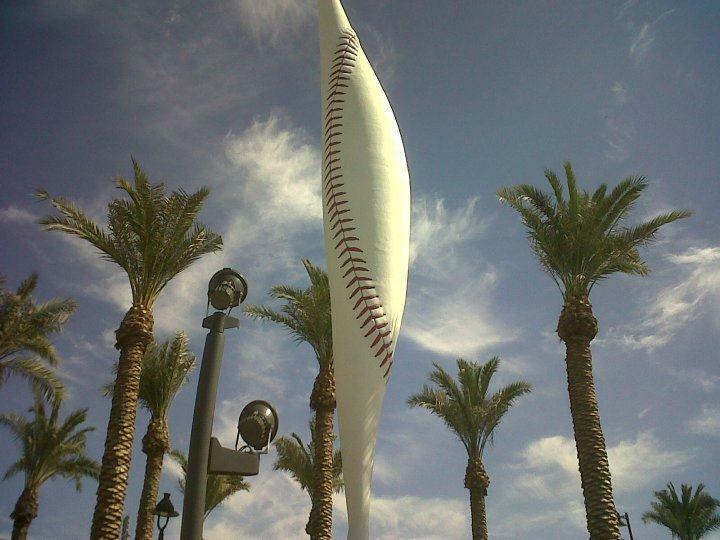 First day of spring: Pitchers and catchers report. First day of summer: Opening Day. First day of fall: The play-offs begin. First day of winter: The day after the World Series ends. Rather a simple world view, I admit. But that is what I believe. And so do all true baseball fans. For those of us who live in the country of baseball, the countdown to today began on Oct. 30 last fall, when the last pitch and the last out were made in a World Series won by the Boston Red Sox in six games over the St. Louis Cardinals. The countdown began at 107 days. We have been ticking them off our calendars one day at a time ever since, waiting for the day, when once again, we could know that in training camps in Arizona and Florida the sound of balls popping into leather gloves and the crack of balls hitting bats are back. Beautiful sounds. This, too, is the day when the hand-wringing of the off-season – what we baseball fans call “the hot stove league” – ends. No more crying about the lack of a blockbuster off-season deal for the Reds. No more worrying about whether pitchers like Johnny Cueto, Sean Marshall and Jonathan Broxton can come back from last year’s injuries. No more talk of whether or not Billy Hamilton can hit major league pitching. This is a day when every team in every division is tied for first place and tied for last place. It is a blank slate, with months of grind-it-out baseball to come that will answer all these questions and more. It is a time to be hopeful, optimistic, enthusiastic and ready for baseball. Spring training is a magical time. I’ve scheduled vacations around spring training trips a few dozen times over the years. I’ve been to Reds camps in Tampa at the worn-out Al Lopez Field, the brand-new ball park that Plant City built for the Reds and watched as that little railroad town in the middle of nowhere struggled to keep the Reds there; I’ve been to Sarasota, where the ball park was less than ideal but the surroundings were superb. And I’ve been to Goodyear, a training facility and ball park that the Reds got from that suburban Phoenix town practically for free. Goodyear is a fine facility; the Reds share the Goodyear Ball Park with the Cleveland Indians but have separate training camps right next door to one another. Goodyear sits in the far southwest corner of the sprawling Phoenix metro area. Go beyond the ball park and it is nothing but desert - tumbleweeds and cactus and a beautiful mountain range beyond. Still, though, I’m a partisan of Florida spring training. Waking up early in the morning and strolling barefoot in the Gulf waters, then heading to the Reds’ camp to watch the late morning work-outs and the exhibition game in the afternoon in a ball park washed in Florida sunshine and surrounded by swaying palm trees. But those days are gone for the Reds. Some of my best baseball memories come from my trips to spring training. Caught my first foul ball at Al Lopez Field in Tampa, sitting down the left field line. 1986. Off the bat of journeyman outfielder Max Venable. A clean, two-handed catch. Several years before that, I was out at the Al Lopez training fields early in the morning, watching the major and minor leaguers being put through their paces. One of the Reds’ most legendary players, Ted Kluszewski, was in camp, helping with hitting instruction. Big Klu was working with a group of minor leaguers at a batting cage as I stood by the side and watched. The pitching machine was behaving badly – it went whacky and started throwing balls way inside on right-handed hitters and way outside on left-handed hitters. It was totally un-hittable. Klu saw the problem; the mechanical arm was bent. He looked around and saw me standing there. “Hey, buddy, come here for a minute,” Klu hollered. I was stunned at first: The mighty Klu is talking to me! I ambled over and he let me in the cage and we walked to the pitching machine. “Hold this thing down for me,’’ Klu said. I knelt down and tried with all my might to hold the machine steady. I looked up and saw those massive Klu biceps as he grabbed the mechanical arm and began pushing it in his over-sized fists. He actually bent the metal back into the proper position. “Thanks, buddy,’’ Klu said; and the pitching machine worked perfectly fine after that. Then there was the day in the spring of 1986 when the Reds left Tampa and were on a road trip to the Atlantic coast. I decided to stay in the Tampa Bay area and went to Al Lang Stadium – a beautiful little ball park on the bay in St. Petersburg – for a game between the St. Louis Cardinals and the Houston Astros. I got to the ball park early (as always) and was sitting in the sun watching the Astros take batting and fielding practice. Then, on the other side of the field, I saw Yogi Berra, in a Houston uniform, hitting fungos to the outfielders. The Hall of Fame Yankees catcher and former manager was beginning his first and only season as an Astros coach. Now, ordinarily, I am not much of an autograph hound. But when it comes to a Hall of Famer, I will make an exception. So I ambled over to the other side of the diamond and stood by the steps into the Astros dugout. After waiting in the hot Florida sun for about half an hour, Yogi came loping off the field toward the dugout. “Yeah, sure,’’ he said; and I reached down to hand him the scorecard and felt-tip pen. As he scribbled, I tried to make a little conversation. “Yogi, it seems strange not seeing you wearing pinstripes,’’ I said. Yogi looked down at the hideous rainbow jerseys the Astros wore in those days and gave it a tug. “Yeah, it fits good, but it’s too tight,” Yogi said. I was immediately transported into Baseball Heaven. I had actually elicited a genuine Yogi-ism. And I was the only one there to hear it. It is a moment I won’t forget as long as I live. 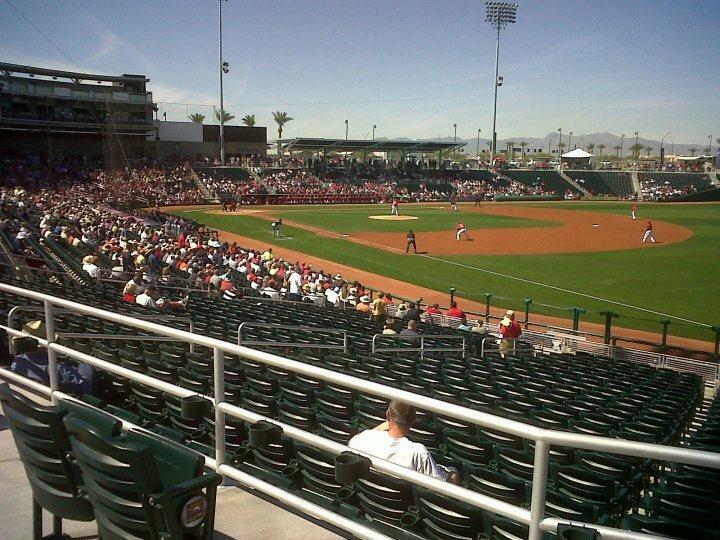 A trip to spring training should be on the bucket list of any true baseball fan. You won’t get a Yogi-ism, but you will come away with stories you will tell the rest of your life. And you will have found the perfect antidote to the horrible scourge of winter. Welcome to spring.